Use this list of hotels in Sucre Bolivia to find your future new favorite accommodations in Sucre. 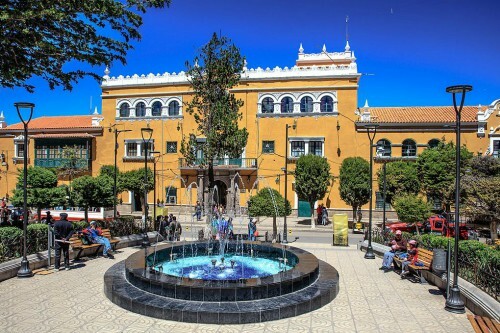 Though small, Bolivia's capital city has what is perhaps the most organized tourist industry in the country. La Ciudad Blanca (the white city) has tourist attractions to keep you busy for at least week, and not one but several tourist information centers. Sucre hotels, hostels and local restaurants are also very well equipped. If you’ve already found a hotel or hostel you love, or one you don't recommend, tell us in our Bolivia Hotel Review. Below is a list of hotels in Sucre. Check for them on Tripadvisor and Trivago. If they aren’t listed, you’ll need to make a reservation directly.